The annual King Abdullah Bin Abdulaziz International Award for Translation in the Humanities from Arabic in to other languages was awarded to Professor Salim Al-Hassani and Professor Mohammed Abattouy. 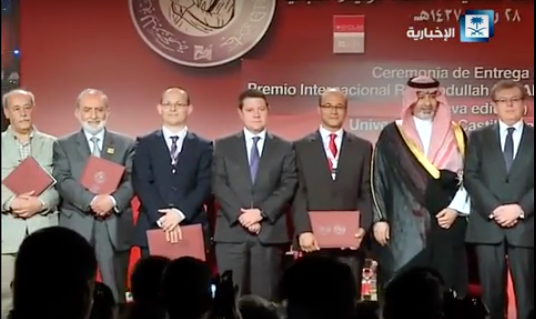 Professor Al-Hassani announced at the award giving ceremony held in Toledo, 6 May 2016, that he donated his share of the prize to the Foundation for Science, Technology and Civilisation, UK Charity. The King Abdullah Bin Abdulaziz International Award for Translation is an international award for distinguished works of translation and prominent institutions, which contributed significantly to the field of translation from and into Arabic. To contribute to the transfer of knowledge from and into Arabic. To promote translation into Arabic in the various fields of science. To enrich the Arab archive by publishing distinguished works of translation. To recognise the achievements of institutions with outstanding contributions in the field of scientific translations from and into Arabic. To establish standards of excellence in translation with regard to originality, scientific value, and text quality. 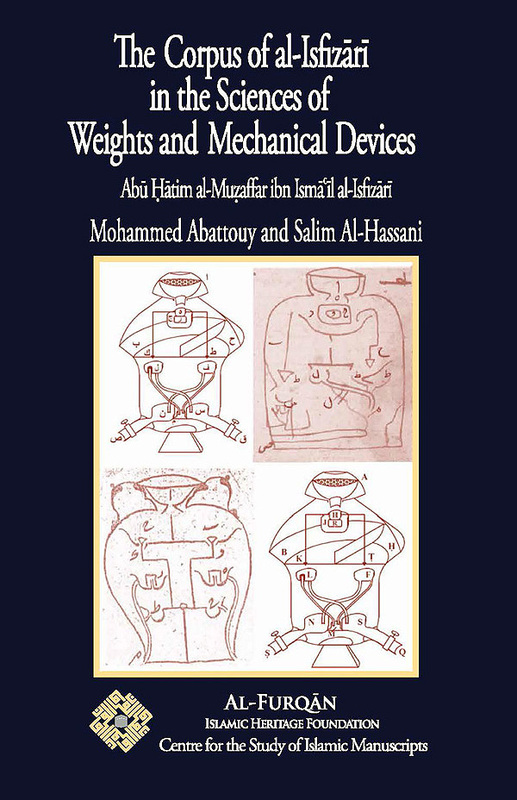 The critical edition and English translation of Professor Al-Hassani and Professor Abattouy’s work “The Mechanical Corpus of al-Isfizari in the Sciences of Weights and Ingenious Devices” features the Arabic texts composing the corpus of mechanics of Abū Ḥātim al-Muẓaffar al-Isfizārī. Al-Isfizari was a scientist who lived from the late twelfth to the thirteenth centuries CE. 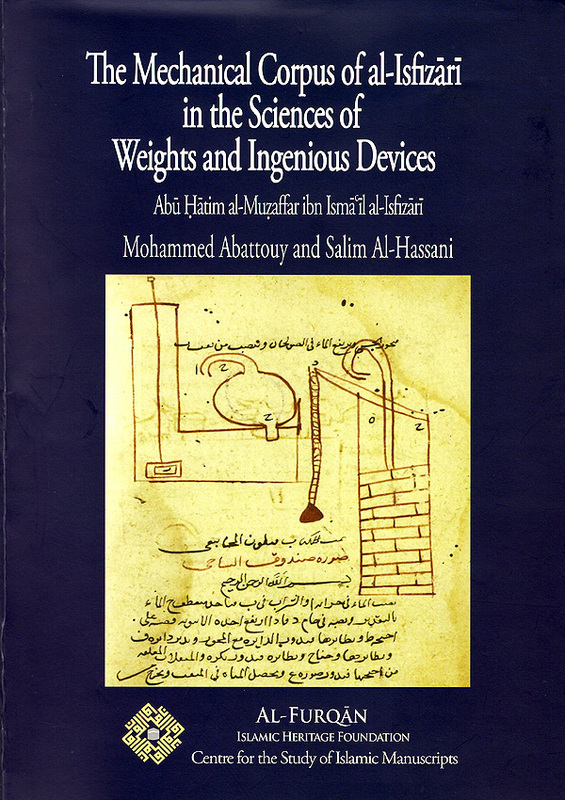 This double publication deals with the field of mechanics, known in the Arabic scientific tradition as “the sciences of weights and ingenious devices” [ʿilmay al-athqāl wa-‘l-ḥiyal]. The work of al-Isfizārī in this field enhances the knowledge of historians and researchers of the Islamic Muslim heritage in science and technology, and specifically on the history of Arabic mechanics. It also confirms both the originality and innovative characteristics of the Arabic contribution to the field of machinery in terms of using mathematics and physics in both experimentation and theory. The work demonstrates how Muslim scientists’ ventures had substantially participated in transforming and developing scientific knowledge. 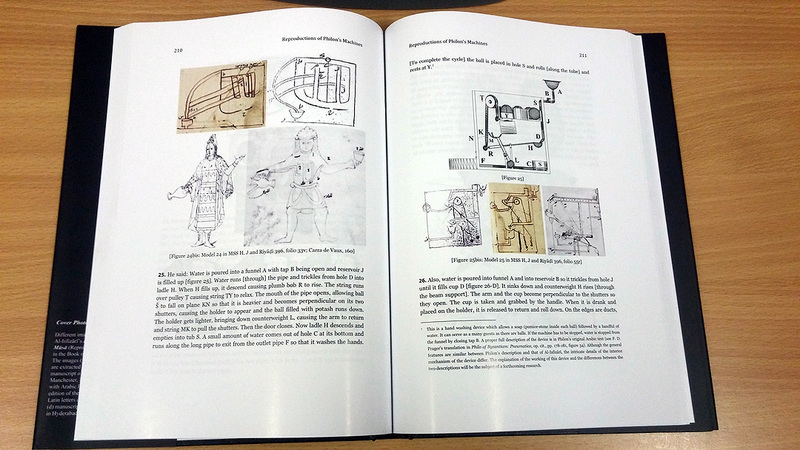 In addition, this book elaborated its value from a history of technology and mechanical engineering perspective. FSTC congratulates the authors and Al-Furqan foundation for publishing the work.